Lovers of the Columbia River Gorge will swoon over this beautiful vacation retreat perched right on Neal Creek, just an hour outside Portland, Oregon. 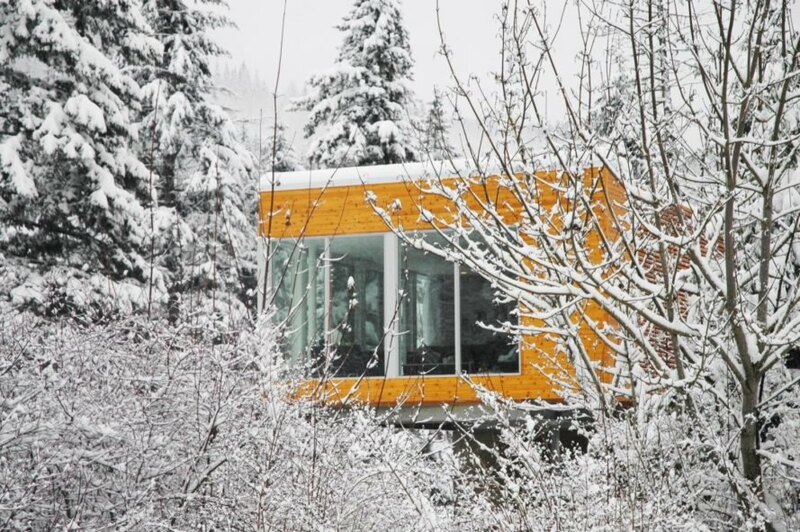 Designed by Portland-based practice Paul McKean Architecture to embrace the outdoors, this two-bedroom weekend getaway was crafted to maximize valley and water views while minimizing impact on the natural environment. The owners—both outdoor enthusiasts—sought an environmentally friendly home that they now serves as a vacation rental available for all to rent. 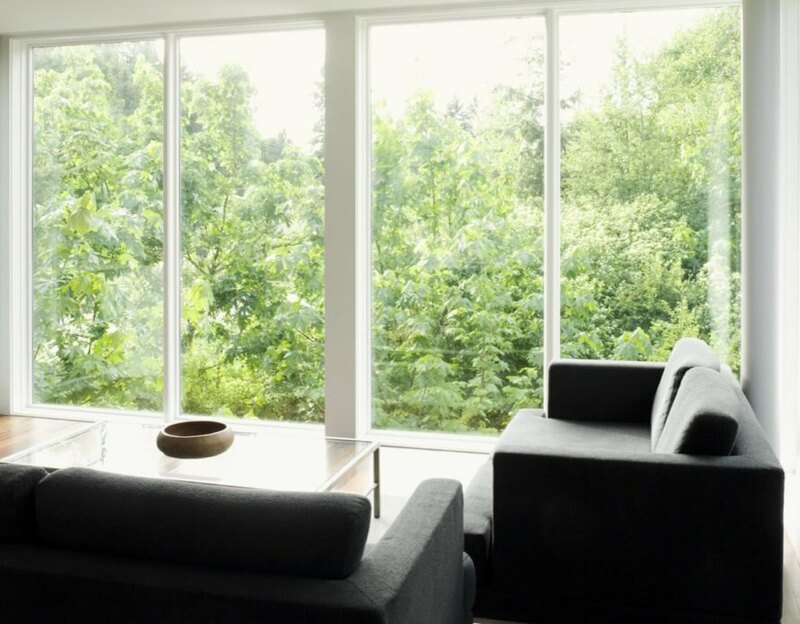 To minimize site impact, Paul McKean Architecture raised the habitable part of the home to one full floor above grade, creating a top-heavy form with elevated views of the creek and treetop canopy. Set atop a concrete plinth, the second level is clad in horizontal planks of timber. Completed in 2008 for a project budget of $185,000, the weekend retreat spans 960 square feet. 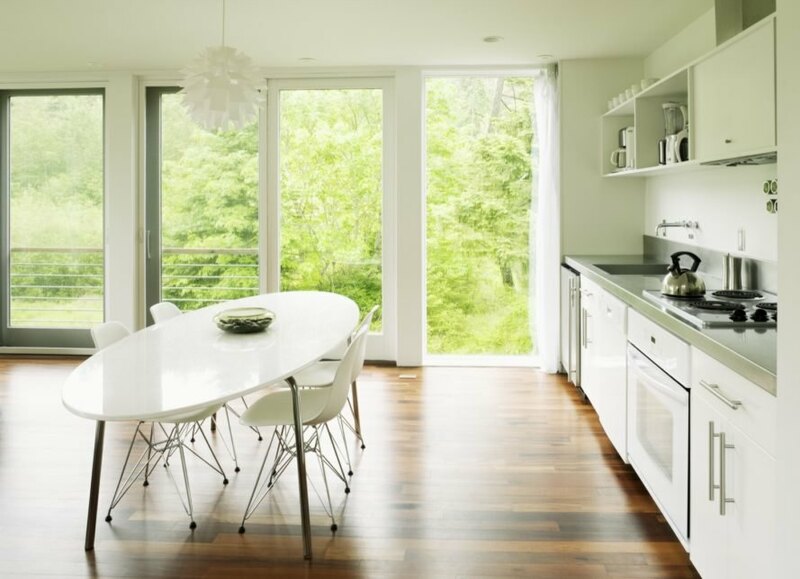 However, full-height glazing and white walls give the home a more spacious feel than its size lets on. The two bedrooms include two queen beds, while two twin beds can be added to the hallway; the retreat can sleep a total of six people. The year-round nightly rate at the Neal Creek Retreat starts at $230. 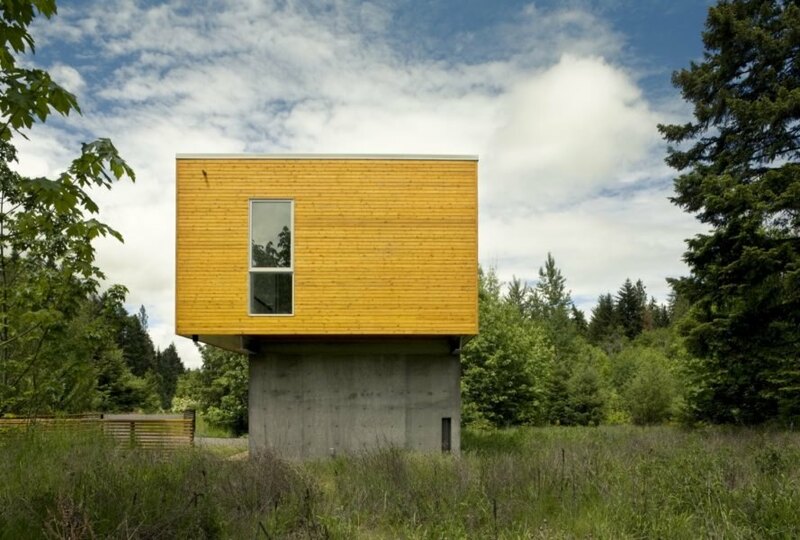 The home is elevated to minimize site impact. The top-heavy house places the habitable area on the second floor. 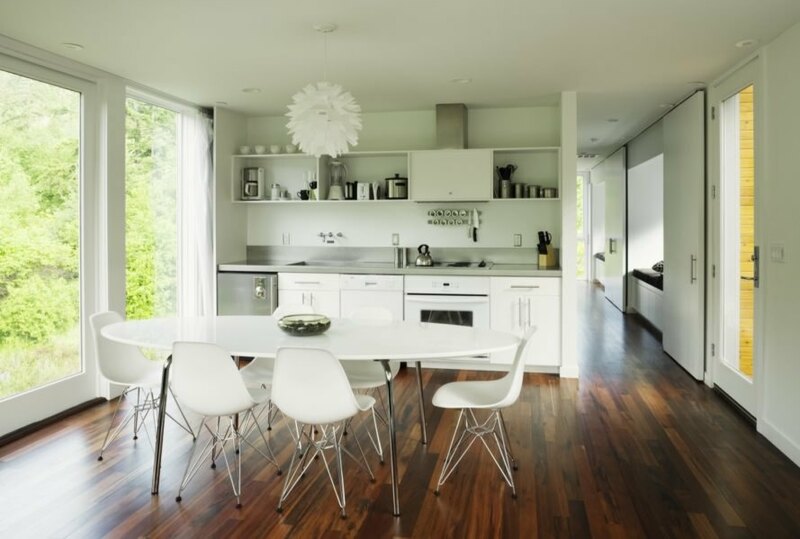 The interior features dark-stained wooden floors and white walls for a spacious feel. The interior features a midcentury modern-inspired palette. Full-height windows reinforce connection with the outdoors. The open-plan living space is surrounded by floor-to-ceiling windows. The retreat is available to rent year-round.